Your site may look beautiful; but the appearance and design of your site is just the first step! If you don’t have content that pulls your visitors in; your website is just a pretty shell. We definitely understand though, what a daunting task creating content can be! You must consider your goal, your strategy, key words, grammar, spelling, onward and soforth! That is where we can help. 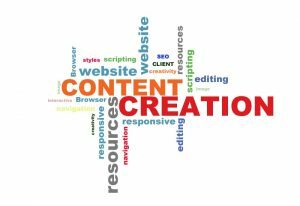 We offer not only content editing, but content creation as well! We will work on any website you own; not just the ones we’ve created! We are happy to help. The following is a list of our Content-related services we provide. Don’t see something on the list? Just ask! We still might be able to help, contact us for more information. Content Analysis related to keywords, search engine optimization, marketing, etc. Upkeep of blogs, content, etc on an ongoing basis.